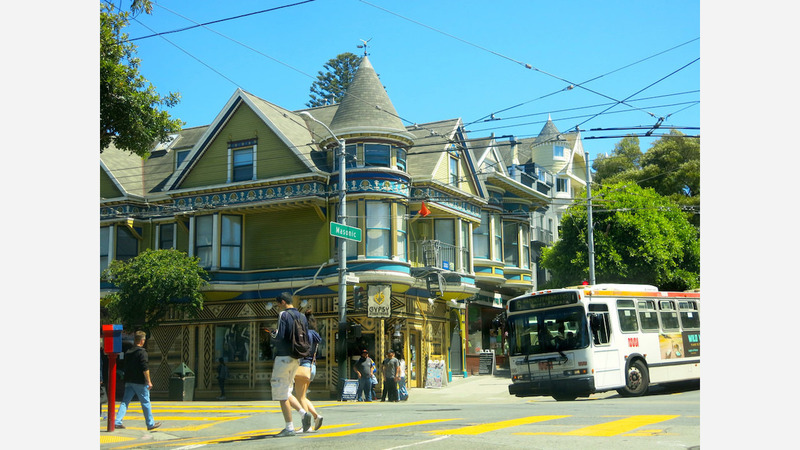 Fifty years ago, Haight-Ashbury's hippies famously asked, "suppose they gave a war and nobody came?" Today, merchants and residents are in a similar conundrum--what if Public Works put an infrastructure project out for bids, and no contractors came? A transit and pedestrian improvement project that was slated to start last winter in the Upper Haight is behind schedule because "we did not receive any contractor bids for the project in the first go-around," said Rachel Gordon, director of communications for San Francisco Public Works. "We are still exploring how to best proceed with the project and hope to have more information in the next couple of weeks," she said. As a result, work originally slated to start in January won't begin any earlier than this summer. The project has a projected two-year lifespan. The infrastructure improvements include new sidewalks between Central and Stanyan streets with traffic bulb-outs and new bus stops, along with a series of traffic lights, more than 30 new street trees, planters, benches, and other design features.